The History of Hair Styling! The art of hair styling began centuries ago, when there were no mousses or hair spray to get the (your) style on in a jiffy. Nevertheless, the hair styles were made elaborate and classy. In addition to satisfying fashion purposes, the styles were also seen as a reflection of social class, personality and moods. It may come as a shock to most, but the hairstyles of today are seemingly not as innovative as they used to be when all experimentation first began. Okay let’s not judge! The use of hair colours, irons and curlers, and sporting stylish cuts are still a thing of today. But believe us; if you came to know just how and when all the fun-with-hair began and the popular styles of you know, you will be startled to learn just how serious hair styling was dealt in history. From intricately braided and ornamented hair to fabulous white wigs, everything had to be just perfect! While you continue to wonder just how intricate those braids had to appear amazing, let’s take you on a journey back in time. A time, when there was no support of salons or gadgets but, only ideas that were magic creators. It all began with a figurine from, wait for it, the Palaeolithic age! Palaeolithic! Now that has to be a long time ago. A figurine named the Venus of Willendorf, expected to have been made sometime between 28,000 and 25,000 BCE, sported something similar to what is popularly known as braiding. This is perhaps one of the first known representations of a hair style. It was during this time when the experimentation with hair began in real terms. We may be using technologically driven irons today but, women of those times also used some kind of irons and tongs to style their hair as desired. The classy waves, funky curls, and chic ponytails had already taken birth during this time. However, it was during the Roman and Middle ages when the concept of hair styling was taken more seriously. 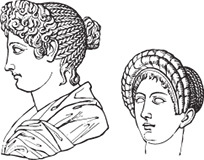 Ancient Roman women with heavily and intricately braided hair would stay indoors, spinning wool. The imperial Roman women however, used to even further complicate their hairstyles, considering they were aristocratic and could go out. A mass of curls on the top, or in rows of ringlets and braids drawn back, was a usual style to sport. Over time though, their hairdos got so complex that they required the help of slaves to keep their hairdo fixed and maintained daily. During the Roman and middle ages, certain natural products were discovered as hair colouring agents. To lighten the colour; wood ash, unslaked lime and sodium bicarbonate were popularly used while copper fillings, oak apples or leeches marinated in wine and vinegar, worked the charm as darkening agents. Until the middle ages, the intricate styling reduced and women allowed their hair to grow as long as they could naturally. The hair was mostly tied on top and when women stepped out, they covered their wound up locks in a veil, kerchief or snood. Weirdly, sporting loose hair outside of their home was something usually restricted to prostitutes! Tying and braiding remained the most practiced styles throughout. When women loved staying dolled up! Early modern history showed some early signs of modernism in hair styles. In the 16th century, styling was taken to whole new level when women started to ornament their braids. Precious stones, pearls and ribbons were the hit accessories. A style called ‘taping’ whereby, ribbons or cords were used to bind the hair around the heads, was gaining rapid popularity. Strangely enough, all this ornate styling remained obscured under veils and other coverings. Fortunately enough, the time span from the 16th to the 19th century saw the much needed improvement in this aspect. European women started revealing more of their hair and the coverings grew smaller. No compromises whatsoever were made on the styling part though, in fact it just got more elaborate. The use of flowers, jewels, pearl rows, ribbons remained popular decorating items, but this was not all. Even more aristocratic tastes involved the use of ostrich plumes and small crafted items like ships and windmills! Wound up hair were most preferred and were seen as a symbol of proprietary. On the other hand, leaving hair loose was considered boastful and sexual. The era of red hair and the birth of the Pouf! 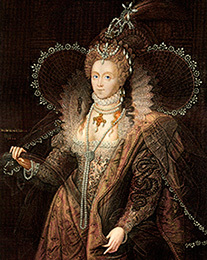 In England particularly, the reigning red-haired Elizabeth I, began the trend of red-hair. Astonishingly enough, in addition to women, even aristocratic men started to colour their hair red. They used borax, sulphur, saltpetre and saffron for dying purposes but the desired look did not come easy. They felt nauseated and suffered headaches and nosebleeds while using these agents! In the middle of the 18th century was when the pouf style came into existence. The style involved adding volume to the front of the hair by placing a pad underneath to lift the hair higher. At the back, it was ornamented with accessories like seashells and of course the ever favourite, jewels! Class and style- Men knew how to balance it the best! For European men, the 15th and 16th century was mostly about sporting hair no longer than shoulder-length. The style factor was added with fringes. 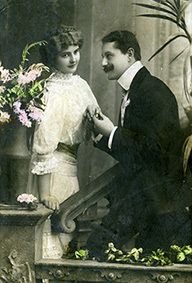 The colouring of hair remained extremely popular amongst Italian men. The early 17th century was when men started to get more creative with their hair. 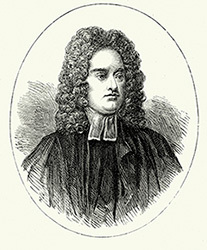 They started to grow the length, and waves or curls were the most desirable and preferred fashioning techniques. Wigs- The Most Rocking Accessory for men! The most striking part about male styles during historical times has to be the use of wigs hands down! It was Louis XIII of France who supposedly pioneered the use of male wigs mostly because he had prematurely started to go bald. His son further popularized the wig and it caught major fame across European countries. Another royal, Charles II began the trend of longer wigs. The style spread like wildfire and was extremely prevalent in English court. During the end of the 17th century, wigs continued to get longer and grew wavier, but travelled back to their shorter version during the 18th century. The short wigs were normally white and had a peculiar stiff curl running along the head at the bottom of the hair. The popularity of the wig was so immense that even natural hair was powdered white to create the impression of a short wig-like thing secured back into a small tail. Enter the ever living fashion of short hair! The trend of short hair, which is very much on today, is believed to be the creation of the neoclassical movement. Bedford crop and Titus were the most popular styles men adopted during the late 1700s. Titus was more about short hair, layered and clustered on the top. This style stirred quite a storm and even bald men preferred wigs with a Titus style. Astonishingly enough, the style was even worn by women! When they grew style in love! In the Romantic movement of the 19th century, men grew side burns and moustaches to complement their hair. In the very late 1800s though, such features were seen only as a thing of adult men while young men ceased to sport them. As the years kept passing, new styles kept adding up and some old ones kept coming back. From the classic Audrey Hepburn look to the chic “The Rachel Cut” of Jennifer Aniston, from pompadour of Elvis Presley to the dreadlocks of Bob Marley, we have seen many hairdos manifest themselves as iconic styles. But, the hairstyles that ancient people created and maintained remain a class apart and unique at their best.